This short video of a family of wild elephants is a wonderful demonstration of connection and trust. In a poignant, funny talk, she shares a deep insight from her research, one that sent her on a personal quest to know herself as well as to understand humanity. When your job hinges on how well you talk to people, you learn a lot about how to have conversations – and that most of us don’t converse very well. Celeste Headlee provides 10 tips for better conversations in this engaging TEDx talk. 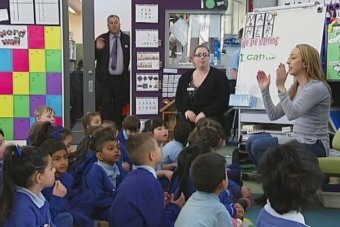 A Melbourne school is using an Australian-first approach based on neuroscience to revolutionise its learning and boost its students’ grades. Over the last fifty years, while society has been growing more and more prosperous and individualistic, our levels of happiness have gone down and rates of suicide and depression have multiplied.